My husband and I headed over to Pasta Brava in Craig Road for a weekend dinner date. This restaurant came highly recommended by a friend. The place was very inviting as well - it had a very warm and cozy atmosphere, like eating in a family dining room. 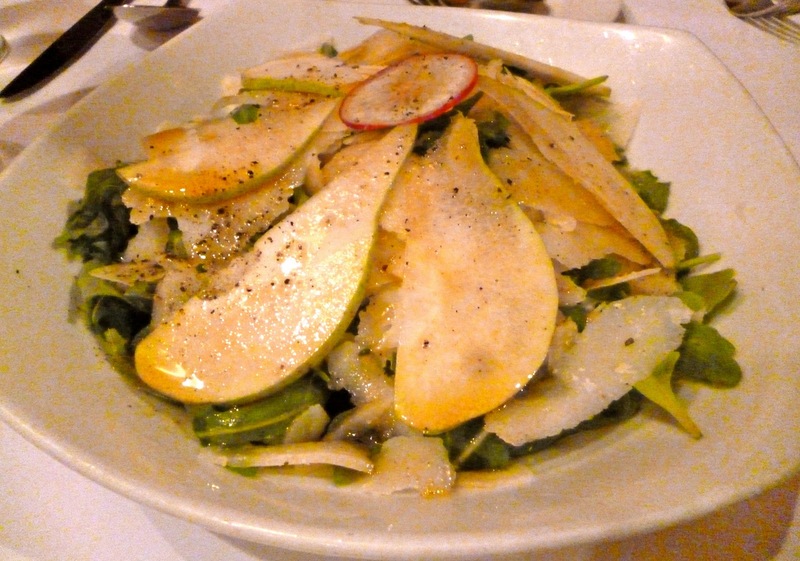 For starters, we shared the Rucola con scaglie di parmigiano e pera (SGD 13.00). This is a rocket salad with extra virgin olive oil, parmesan flakes and pear. Pasta Brava's olive oil was really aromatic, and I love how it brought out all the distinct flavors of the salad, cheese, and pear. A simple but wonderfully executed dish. 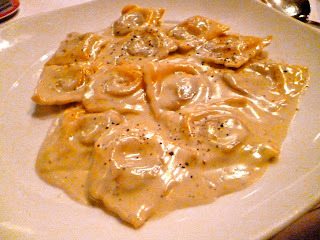 For pasta, I had the Ravioli con carne di manzo al gorgonzola (SGD 22.50). This was a ravioli filled with minced beef and light gorgonzola cheese sauce. The gorgonzola sauce was exquisite, and the blue cheese had just enough kick. This was a very satisfying pasta. 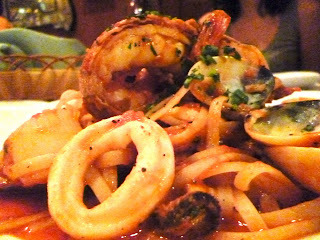 My husband had the Linguine regina del mare (SGD 23.00). This is a seafood linguine with prawns, clams, scallops, squid, and crayfish. The portions of seafood were very generous. The tomato sauce was very fresh and delightful. However some of the seafood was a tad bit overcooked. 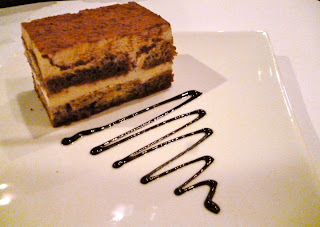 For dessert, we had the Tiramisu al mascarpone e caffe (SGD 10.00). The tiramisu was pleasant, and it had a very nice espresso and liquor flavor. 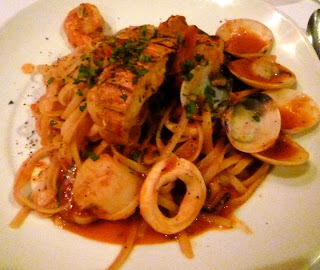 I enjoyed our dinner at Pasta Brava altogether, and this restaurant will definitely be worth a few more visits. Pricing is not bad and definitely commensurate to the quality of ingredients and impressive execution of the dishes. P.S: I am a "Pasta lover"